As you age, wrinkles and fine lines develop from the years of making facial expressions. When you smile, frown, or look inquisitive, the repetitive muscle movements etch lines into your face. Botox® Cosmetic and Xeomin® are injectable wrinkle-reducers than can help soften these lines and wrinkles, creating a more youthful, vibrant appearance. 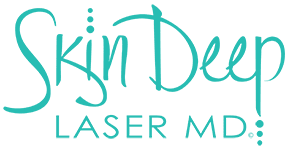 Dr. Riehm of Skin Deep Laser MD, located in Fort Worth, Texas, offers these injectables. Call her office or book online to learn how your look can benefit. Botox and Xeomin are neurotoxin injectables that block the nerve signals from reaching underlying facial muscles, leading to their temporary relaxation. This softens the wrinkles and lines and smoothes out your skin, creating a more youthful look. You won’t end up looking expressionless after treatment, but simply softer and less intense. Both Botox and Xeomin soften fine lines and wrinkles and work similarly – by relaxing your facial muscles. Botox is the most common neurotoxin injectable in the world. Xeomin is manufactured slightly differently so that it’s a purer compound without unnecessary accessory proteins. They are most commonly used for frown lines between the eyebrows, on the crow’s feet around the eyes and on forehead wrinkles. These frown lines can make you look stern, angry, or just tired. Both injectables are particularly effective at softening these expressions. Do Botox and Xeomin injections hurt? The injection of these neurotoxins does involve a needle, so you’ll feel a pinch at all locations that receive a shot. But the sensation is quick and most people tolerate the treatments quite well. If you’re concerned about the discomfort, talk to Dr. Riehm about using ice or a numbing cream prior to treatment. How soon will I see results from neurotoxin injectables? Depending on the area, you will start to see results within 3-10 days. Full results occur within 5-14 days. There is no difference in onset or duration between the Botox and Xeomin brands. How long do Botox and Xeomin last? The effects of Botox and Xeomin are temporary. They last about 3-4 months, so you can come in for retreatment to maintain your look. One of the benefits of Xeomin is that it is a purer version of the toxin. If you’ve been getting Botox for several sessions, but feel it’s not just working as it once did, Xeomin might be an option because it doesn’t have some of the accessory proteins to which you may become immune. If you’re interested in the wrinkle-reducing benefits of Botox and Xeomin, call Skin Deep Laser MD or book an appointment online.